1) Watching: RIP Mary Tyler Moore. 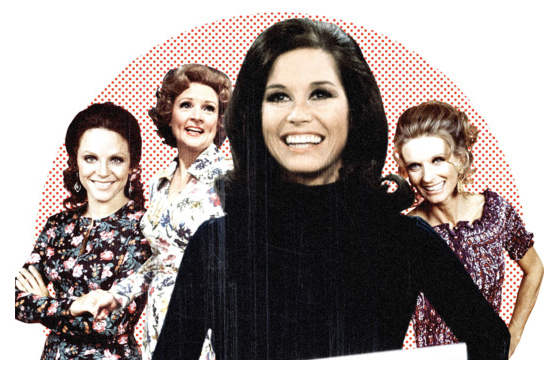 Here’s a list with links to the 12 best episodes of The Mary Tyler Moore Show (apart from the famous and oft-listed Chuckles Bites the Dust) on Vulture from a few years ago. “The show, which featured Moore’s character asking for equal pay to her male co-worker and going on the pill, became a paradigm of the women’s liberation movement and is credited with inspiring women to break the mold confining them as wives and homemakers. ” — HuffPo. 2) Listening and looking: An Illustrated Talk With Maurice Sendak from the New York Times interview. Illustrator Christoph Niemann added some magic to this already emotional, beautiful, recorded conversation between interviewer Terry Gross and the late, great Maurice Sendak. 3) Inspiring: Cinplex’s best use of colour of all time. A top ten of brilliant films that use colour as almost another character. Lovers of film and colour design will enjoy this a lot. 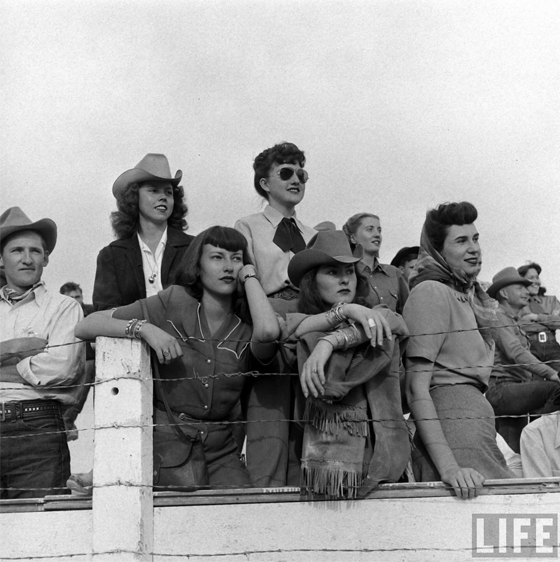 4) Coveting: With Phil being in Dallas this week, I am hankering for cowboy boots and this is only reinforced by a little Messy Nessy inspiration – University life in Arizona in the 1940s. Rodeo! 6) Listening: A new pop anthem for the times; MILCK’s Quiet. And here it is being performed by MILCK and a group of women who rehearsed together online before meeting as a flashmob in Washington at the Women’s March last Saturday. I have also spent the week flashing-back and listening to Alt-J’s This Is All Yours from 2014, mostly because I love, love, love this song – Warm Foothills. And if you are keen – here’s a playlist on Apple Music of all the songs I have mentioned in the Small Batch List to date. 7) Cooking: It’s a week of days. Robbie Burns Day (Wednesday), Australia Day (Thursday) and Chinese New Year (tomorrow). Okay, quite honestly, we didn’t actually celebrate or even remember Robbie Burns Day until Jamie Oliver reminded me with a haggis recipe in my inbox. Coincidentally we have been eating good Scottish porridge each morning this week. Apart from making the mornings even more desperately rushed, it’s making life kinda delicious. Here’s Jamie’s page on lots-of-ways with porridge. (I’ve been saying that with my excellent fake scottish accent all morning.) We go the half milk / half water route, and I also add a wee spot of brown sugar and a shake of cinnamon while it’s cooking up. We then serve it with a generous blob of applesauce and a glug of thick cream. Required: When serving it, I always say “thistle set you up for the day”, again in my excellent fake scottish accent. And Australia Day? 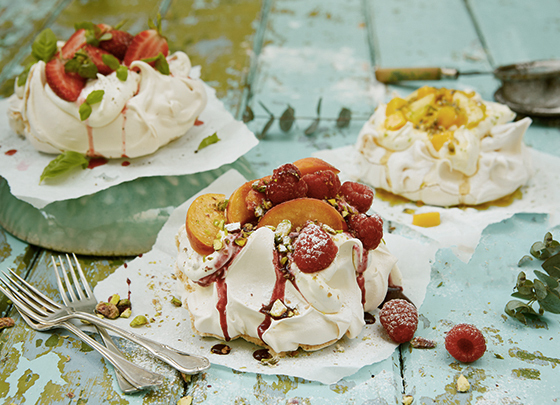 Again, we did not actually celebrate the day and continue to question how appropriate it is to celebrate this date at all… but it has made me think of home and, as always, that leads to thinking about pavlova, of course. Despite the Winter still creeping around our bones here, I am dreaming of summer fruits. Here’s the basic pav recipe I follow… and above are some suggested variations on toppings – Back left: strawberry, basil and black pepper (whoa!). Front middle: raspberry, berry sauce, pistachio and peach. Back right: mango, passionfruit and pineapple. Gah! Yum. Coming up tomorrow is Chinese New Year and I can’t stop thinking about steamed pork buns. I’ve never made them and I can’t decide if I am brave enough to try now. Dare me? Student by day, epic sleeper by night. 14. Hilarious. My kid. Most often found at school or looking at YouTube in her room. Amelia took a little time out of exam week to write this for me. Like a true millennial, she sat next to me on the couch and composed the whole thing on her phone. Thank you, Amelia. You are one of the sweetest human beings and an absolute gem. I discovered Frankie Magazine on a sewing summer camp 6 months ago. Every day at lunch time, after we had spent several hours hunched over sewing machines, making clothes and sweating like the Dickens, the camp leader took us into the woods where she lay down on a picnic blanket and fell asleep for 45 minutes. She brought a cloth bag with her full of magazines for us to look at while we waited for her to wake up, and in this bag I found three issues of Frankie Magazine. 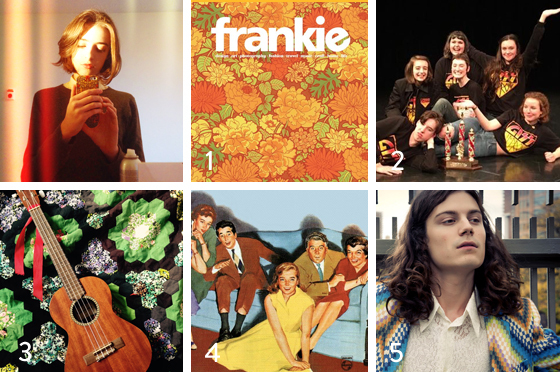 An Australian publication full of photography, fashion, pictures of things you didn’t know you wanted and fantastic articles by fantastic writers, Frankie comes out with six issues a year, and it is always chock-full of excellent stuff. On the days when I come home from school and see that sealed plastic bag with my name on it and a thick, beautiful issue inside, I am forced to spend hours not doing my homework. I flip through the pages and jot down names of ceramic artists and shoe-makers so I can look through their etsys and drool later, hoping that one day Mum will give me a little more allowance so I can afford those robins-egg blue clogs. I saw my first improv show when I was in Grade Four. One of my friends was having a birthday party and had chosen to take us to see the high-school improv team perform in the evening. I don’t think I even understood what improvisation was at the time. I mean, at that point I was still telling my best joke, over and over again. (“Why are pirates scary?” “Because they ARGGGGH!”) Onstage, the kids performed a scene where they were all a giant stapler. I was totally awestruck. The idea that they were working cohesively as a group to create a completely made-up scene on the spot astonished me. Now that I’m in my first year at the high-school, I actually get to be on the team, rather than just seeing some of the members in the grocery store and wishing I had the courage to ask them for an autograph. It’s so much fun. Soon my team will be going to compete against the other schools in the region and, maybe one day, we too will make a giant stapler. 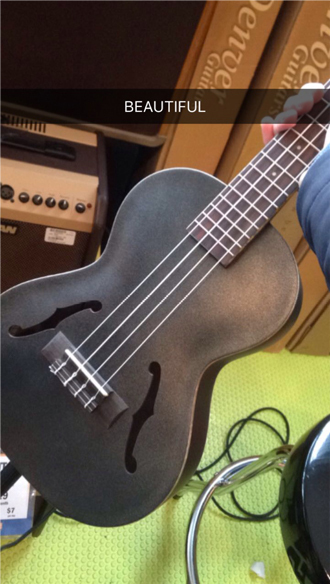 Stephanie will always hold a special place in my heart, although secretly I’m saving up for this babe (she’s electric). Even when I’m home alone, I won’t hesitate to make clever observations and tell tangential stories, only to realise there’s no one sitting beside me on the couch. (Even so, that doesn’t stop me.) Recently I have been loving Mozart in the Jungle, Please Like Me, Gilmore Girls, West World, The Crown and A Series of Unfortunate Events. Dreamy, talented and a little bit full of himself (for good reason though!) singer and occasional ukulele player Garret Borns’ album Dopamine (on Spotify and on iTunes) was probably my favourite of 2016. The songs Electric Love, 10,000 Emerald Pools and Fool are all must-listens, but first check out Seeing Stars which isn’t on this album but is a song that makes Mum and me clutch our hearts and sigh every time it comes on in the car. p.s. 100 points for guessing the quote in the subject line! Last week it was from The Love Song of J. Alfred Prufrock by T. S. Eliot (one L one T – I still remember that from grade 9 exam prep) but you you knew that, right? Hello hello. Another week has flown by – tick tock. Here on the island the snow and the skating ponds have (mostly) melted and the rain has set in. It’s hard not to feel old and tired at this time of year in all the darkness. All I want to do is sloth around, eat hot chips and watch bad TV. Feeling the drag set in, I clicked through and read this article which highlights the dangers of sitting down too much and the direct link to ageing. As a result this newsletter took me twice as long to write as I had to keep springing up to prevent wrinkles. 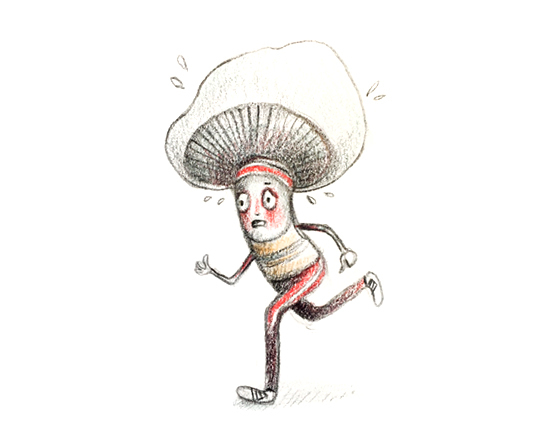 So, like all smart human beings, many animals, and fungi, leap up and run around for half an hour. Your flawless skin will thank you. 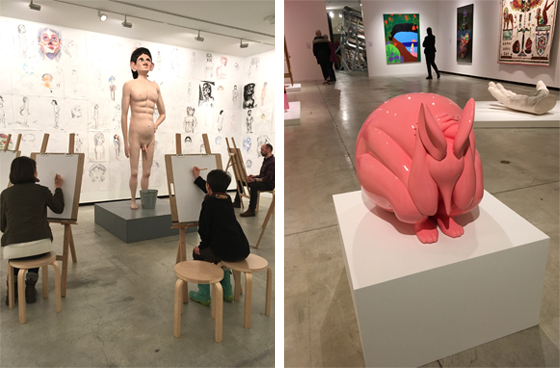 1) Looking: Juxtapoz x Superflat at the Vancouver Art Gallery until Feb 5th, 2017. 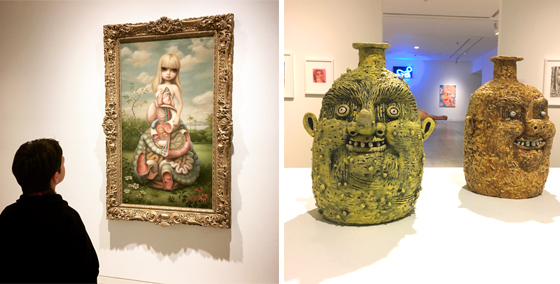 Conceived by Japanese neo-pop, superflat luminary Takashi Murakami and editor of the underground art journal, Juxtapoz, Evan Pricco, this group show brought me so much inspiration and joy. I think this is one of the best things I have seen at the VAG in the six years we have lived here. I love this aesthetic. The works selected are fresh, edgy, humour-filled, curious and irreverent. 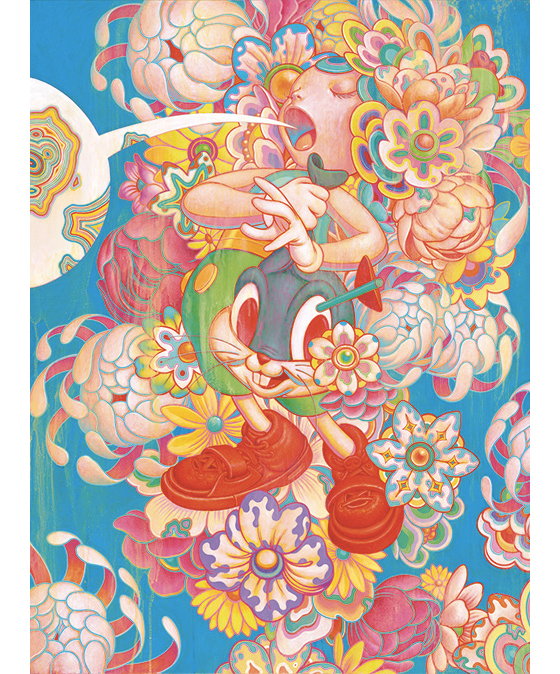 As the VAG description says, Murakami and Pricco’s aim is to flatten high and low cultures, drawing on traditions such as illustration, manga, graffiti, skate, surf and digital art. The show is packed full of strong and completely engaging work. I wanna go back! Top to bottom, left to right: James Jean Bouquet, Swoon Edine, David Shrigley Life Model, Parra Anxiety, Mark Ryden Anatomia, Rebecca Morgan Pittsburgh Joely Jug and Ochre Jug. 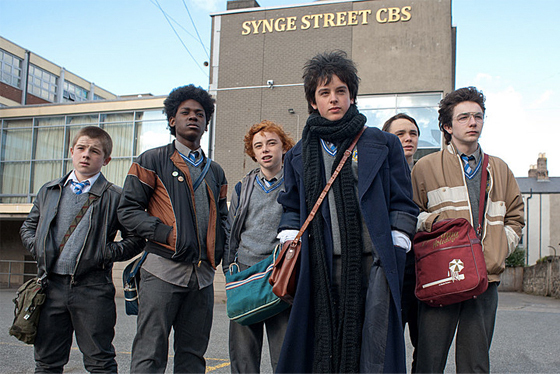 2) Watching: Sing Street is a fabulous family film (perhaps for an older family, as Commonsense Media says 13+) dripping with 80s nostalgia in both subject matter and stylings. 3) Reading: Ed Emberley – The Kids Are Alright in Juxtapoz magazine. If you were a kid who was into drawing and were born some time around 1970 and beyond, chances are you discovered and loved the Ed Emberley drawing books, full of step-by-step instructions on how to draw pretty much everything in his kooky, distinctive style. 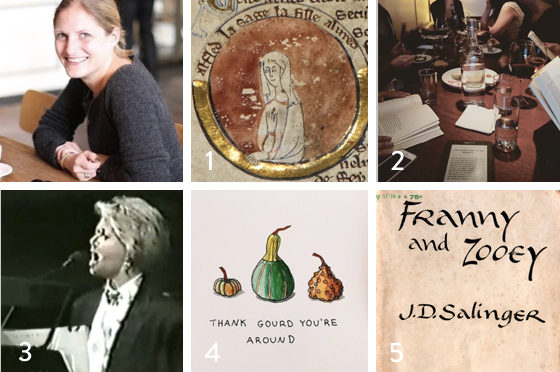 This interview is chock-full of interesting snippets and opinions about art, children’s book publishing, Ed and his wife Barbara’s life and process, the history of print and the direction social media is pushing us in. “…when you draw, you go away. You go to another place. It’s a safe place. And it’s a real place.” – I hear ya, Ed. 4) Inspiring: The Songs Birds Sing is a sweet and inspiring video from Montague Workshop about trusting your own voice, ignoring your self-doubt and going for it. I showed it to Lily, who watched it with a smile, and I recommend it to you because it’s a message all of us need to hear from time to time. 5) Podcasting: The Washington Post encourages you to upgrade your podcast playlist in 2017 and features a list of suggestions from their staff podcasters. I am excited to try this episode of No Such Thing as Fish as it features one of my favourite comedians (read: genius) Tim Minchin. 6) Listening: This is a pretty, pretty sad song; Phoebe Bridgers Smoke Signals. And this song is a kinda sappy but I do love it; No One Knows Me (Like the Piano) from Sampha. 7) Slow-cooking: Sorry vegetarians…. 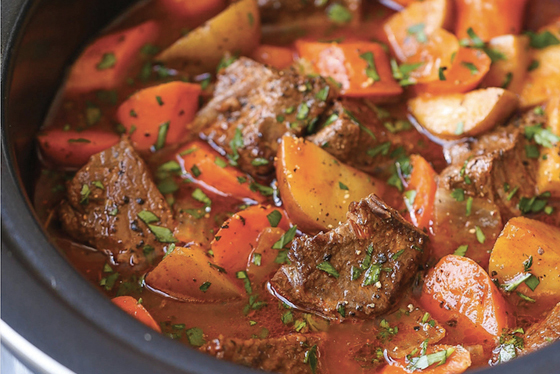 but on these grim winter evenings, this beef stew is really good and so easy. If you have a slow-cooker it takes about 10 minutes to throw together the meat and veg, herbs and sauces and then it bubbles away all afternoon, making the house smell incredible. Even the kids like it. This in itself is miraculous. 8) Icelanding: Iceland knows how to stop teen substance abuse – and it’s not just about looking super serious in a tracksuit when you get your photo taken. Community Manager, Rock Climber, Owner of a small, cute dog and the person I steal all my good music suggestions from. I have never actually met Laura, she is my internet-imaginary friend and I have been keenly following her ideas and suggestions for years. I feel when we actually meet one day (you never know!) we will get along like a house on fire. I couldn’t resist asking her what her Friday Five Favourites are because I knew they would be excellent. Thanks Laura! AWtK is my favorite daily newsletter (as opposed to weekly, ahem). It is so affirming to start each day reading about the fascinating women history overlooks. The cadence of one per day is just right, and Carpenter’s commitment to showcasing diverse perspectives is refreshing. #Humblebrag – I am a cofounder of SBC. Even so, it is a favorite online online community and IRL meet up, filled with readers of all ages and backgrounds across various social channels and cities around the world. I can’t wait to see where it goes in 2017. It seems like a good time to brush up on US/Russia history, and what better way than through musical theatre? Elaine is such a powerful performer, she leads the entire orchestra and outshines the forgettable 80s video recording to boot. I love this performance and come back to it regularly. In fact, I just included it in my Stronger Together playlist, highlighting strong, female-led songs. My favourites of these keep changing. I want all of these delightful, punny cards. I read this book at least once a year, and have gifted it numerous times to friends and family. I love the humor, the characters, and ultimately, the optimism that pervades, despite covering Big Subjects. Incidentally, it’s clear that Wes Anderson would not exist as the filmmaker he is if not for Salinger, and specifically, Franny & Zooey. Have an excellent week and drop me a line if you feel inclined. I was a bit slack towards the end of last year and didn’t get back to a few kind emails (thank you to you!) but I’m back feeling relatively organised again. p.s. 100 points for guessing the quote in the subject line! Last week it was from Tennyson’s The Foresters – Robin Hood and Maid Marian. Congrats to Dave French who mentioned it on Facebook. If you knew it from memory, I am well impressed! p.p.s. Happy Birthday to Rob! Hello and welcome back! Do you like my animated gif? I made it in about ten minutes, sitting up in bed holding my sketchbook on my lap and my phone in my hand, using the iMotion app. Animating has never been rougher! Don’t look at it for too long, it will make you ill. This year the Small Batch List will be shorter (but sweeter!). Due to the powers that be (Mailchimp – who are marvellous but have to be practical) my hard work was being ruthlessly cut and sliced and dropped out in various mail programs as it was too long, so instead I will be making sure that everything arrives safely in everyone’s inboxes. This is also the perfect excuse for me to keep it brief and a whole easier to put together, as my work-life was becoming all about the newsletter, and I have some drawing to do this year. Hopefully this shorter-sweeter-briefer-tastier version will be easier to digest too, and a little less sprawling and overwhelming for you. When deliberating who might be my top 10 visual artists of all time, Yoshimoto Nara would have to be up there. 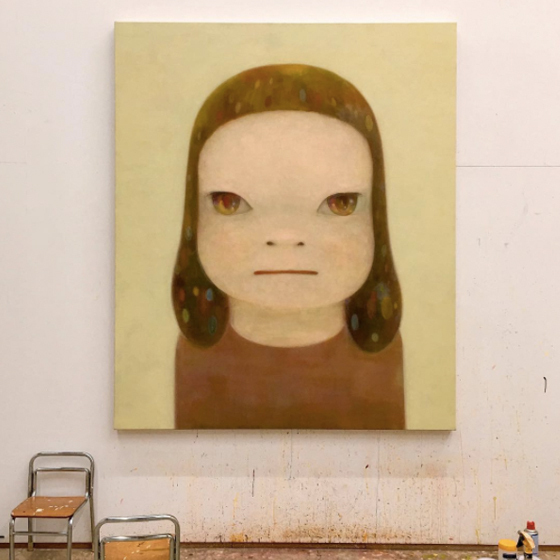 Emerging in the 1990s during the Japanese neo-pop movement, Nara paints distinctive big-eyed children with clear lines and clear colours. This may sound sweet, but there is an edginess to his subjects. Blank-faced or seething, guitar-swinging, cigarette-smoking or wistfully staring right back at you whilst brandishing a knife. I love his sense of humour and whimsy. 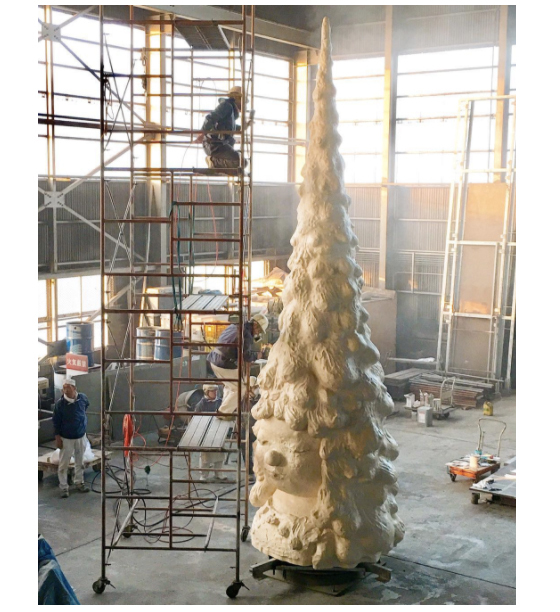 His Instagram is always the first thing I check – and lately I have been loving the ceramics he has been producing with help from the admirable Otani Workshop. 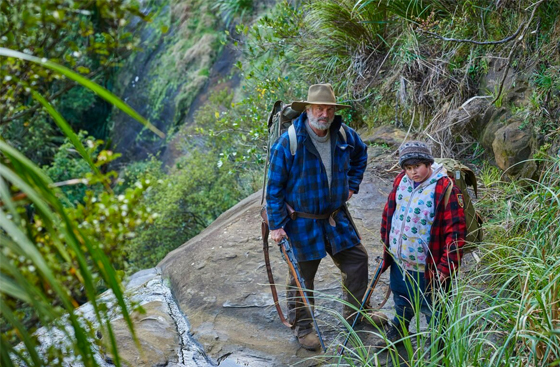 1) Watching: Hunt for the Wilderpeople (above). Watch immediately. A totally charming and offbeat story of a kid raised in foster care, who is sent to live with a quirky older couple in the New Zealand mountains. There is so much love and humour in this story… part buddy-movie, part action-adventure, part poignant, heart-breaking story of a kid who nobody wants. It’s a great family movie (for those over 12). On Netflix. 2) Reading: I’m reading Man at the Helm by Nina Stibbe, which Pip Lincolne recommended in the Small Batch List a month or so ago. In the vein of Barbara Trapido or Maria Semple (creators of other wonderfully eccentric families), this is great fun. 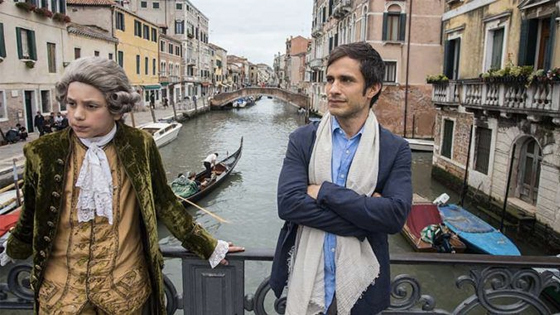 4) Watching (obsessively): My new favourite tv show is Mozart in the Jungle. It follows the trials and travails of a fictional version of the New York Symphony Orchestra. Gael García Bernal (above right) leads this ensemble cast (and the orchestra) with a completely irresistible performance (or is that just me?). Granted, it’s patchy and in some places downright sentimental and cheesy but the characters are so good, and stories about driven, crazy, creative people are hard to resist. Streaming on Amazon Prime. 5) Drawing: Neocolor II Watersoluble crayons – my Christmas present. Waxy, lovely crayons that produce deep, vivid colours and a nice thick coverage. Plus! Just add water, and presto… watery! 6) Reading: My dear friend and confidant Carrie Cogan has a new blog and it’s really great: Dented Stars. I love her writing so much and at this point I will have to stop calling her my Editor-at-Large as she is really just off doing something so brilliant without me! Yeah, Carrie! 7) Video-ing: Inspired by Heather Champ’s 2016 via 1 Second Everyday, I have downloaded the 1 Second Everyday app and have started my own video visual diary compilation. It’s not too late to start. 8) Cooking: This cake with this frosting. After decades of trying and failing at making my Mum’s chocolate cake, I decided this last weekend to give up completely and try something new. I did my usual trick and googled “Best chocolate cake recipe in the world ever” and came up with this. Success rate 100%, and seemingly idiot-proof, as I picked up my tablespoon measure rather than the teaspoon, therefore adding a huge amount of bicarb, baking powder and salt (though I did say to myself “gee that looks like a lot of salt” and halved the amount, fortunately!). 9) Listening: I have just put on Open from San Fermin, a new track from a forthcoming album. I have never heard of this indie rock outfit led by classically trained songwriter and composer Ellis Ludwig-Leone — and now I am off to explore more, starting with their last album, Jack Rabbit. Thank you Laura for highlighting this in your A Song A Day newsletter this week. 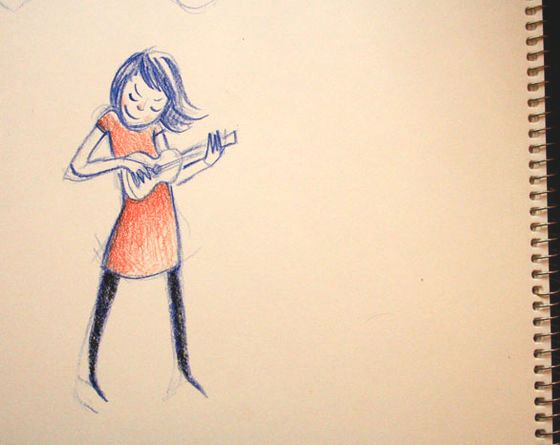 Laura will be my guest in the newsletter next week! 10) Sleeping: Better…. yes. But, regardless, I found this Brainpickings post from this last Tuesday interesting. Sleep Demons: Bill Hayes on REM, the Poetics of Yawns, and Maurice Sendak’s Antidote to Insomnia. Alex is the talented force behind the Claude books which, excitingly, will be coming to TV next year. I’m so stoked he agreed to give us his five favourite things. I’m so excited to have been asked by Claire to be a part of her newsletter. I’m such a big fan of Claire’s work and have been a keen follower of her blog for years. 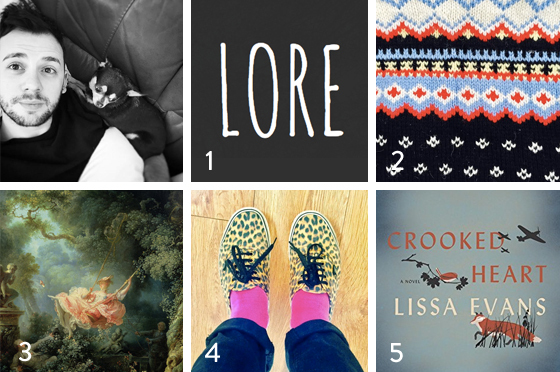 This is a real thrill, even though narrowing my favourite things down to just five was really tricky! I found LORE when I was looking for new things to listen to while I’m head-down at my drawing desk, and what an excellent discovery they are. Brilliantly written and produced by writer/presenter Aaron Mahnke. 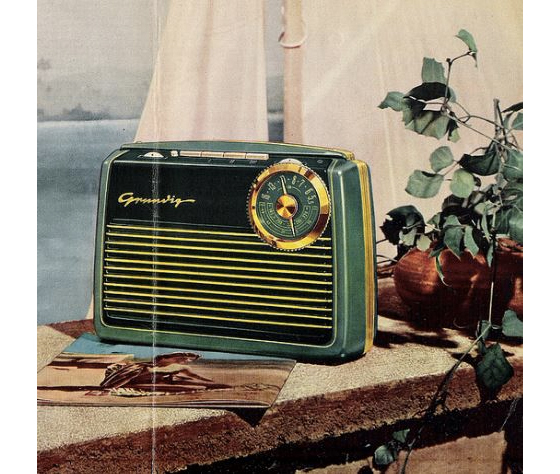 Each episode (released weekly) delves into a strange and mysterious non-fiction series from around the world, and touches on folklore, history and the darker side of human nature. It’s fascinating and a touch on the scary side, and Aaron’s delivery is pitched perfectly. The show has been described as a “campfire experience” which I agree with. It’s like listening to a friend telling a ghost story on a dark and stormy night. 2. My Vintage Norwegian cardigan. I picked up this handknitted cardigan from a vintage shop when I lived in the north of England a few years back. It was constantly FREEZING ( one winter it snowed so much my chihuahuas completely disappeared when they went out into the garden!) and my then studio was like an icebox. This jumper was a life-saver – so warm and cosy, and I love the fair-isle style pattern. I do have a bit of a thing for vintage/ patterned knitwear, but this is still my absolute favourite. 3. The Swing by Jean-Honore Fragonard. In recent years, the painting has popped up in some lovely and unexpected places. It inspired the look and stylings for Disney’s TANGLED and a copy of the painting pops up in the background of FROZEN. 4. My leopard print Vans and my bright pink socks. I took this picture of my shoes the other day and the combination of the colours and pattern makes me really happy and cheers me up on grey days! What’s not to love about a spotty shoe and a fiery pink sock?! I love the combination so much I’m about to give an old chest of drawers in my house a much-needed, neon-pink make-over and am on the hunt for something suitably leopard print-y to perch on the top. If all else fails I might just pop these battered old shoes on display…! This is hands down my favourite book I’ve read all year. I read it in the spring, but still find my mind drifting back to both the story and the characters. Set in WW2, it follows the odd couple story of two strangers thrown together during the war. One is ten year old Noel. He’s an odd little chap who has no family and has, until recently, been living with an elderly, wonderfully eccentric aunt. When he is forced to be evacuated out of London, he ends up living with Vera (Vee) Sedge, a thirty-something single mother who is drowning in debts and is constantly looking for ways to scam money she desperately needs. She’s completely useless at it on her own, but when Noel becomes involved, they become a team. However, unexploded bombs aren’t the only dangerous things in wartime Britain, and soon Noel and See find themselves in danger. It’s a brilliant, eccentric, funny and moving book. Excellently written with a Mitford-esque style and full of wonderful characters and details. A real gem! p.s. 100 points for guessing the quote in the subject line! The last time it was Rolf Harris’s Six White Boomers.